Check out this comicbook moment! The larger than life characters Deadpool and Cable are going head to head in this Funko style diorama! 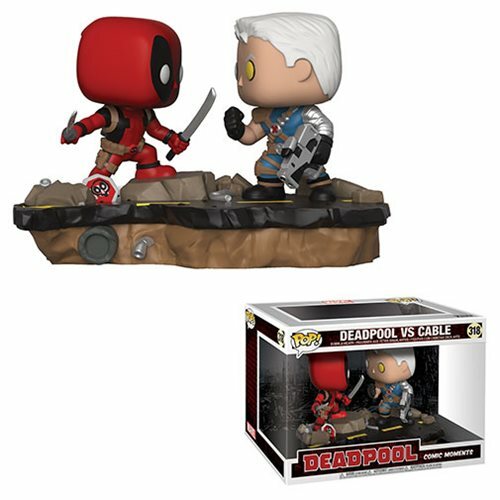 Each measuring approximately 3 3/4-inches tall, this Marvel Deadpool VS Cable Pop! Vinyl Comic Moments includes an environmental base and comes packaged in a window display box. Ages 13 and up.